The movie Stone: trailer, clips, photos, soundtrack, news and much more! Milla Jovovich looks hot on this poster of Stone! Who’s the best actor according to you: Robert de Niro or Edward Norton? 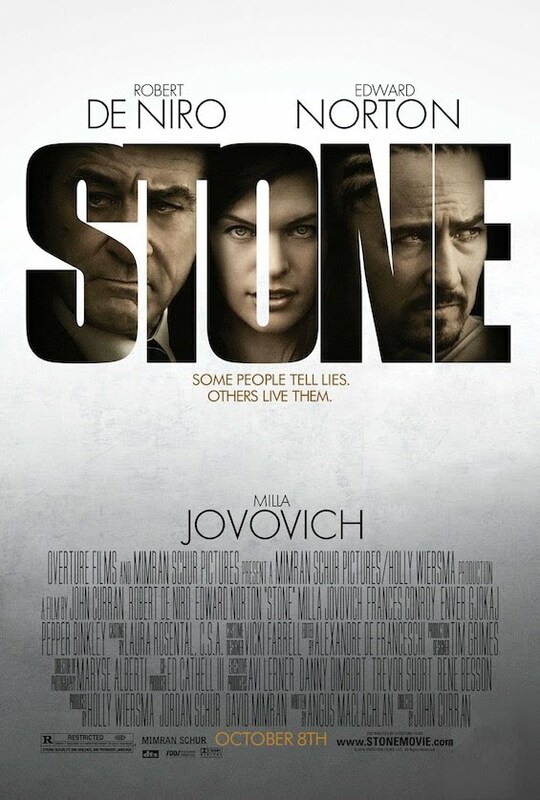 Directed by John Curran, the movie Stone is starring Edward Norton, Robert de Niro and Milla Jovovich. Who’s going to win in the movie Stone: Robert de Niro or Edward Norton? The movie STone is directed by John Curran based a script by Angus MacLachlan and is starring Edward Norton, Robert de Niro and Milla Jovovich. I really enjoyed that trailer of Stone: I definitely want to check out the movie when it comes out! 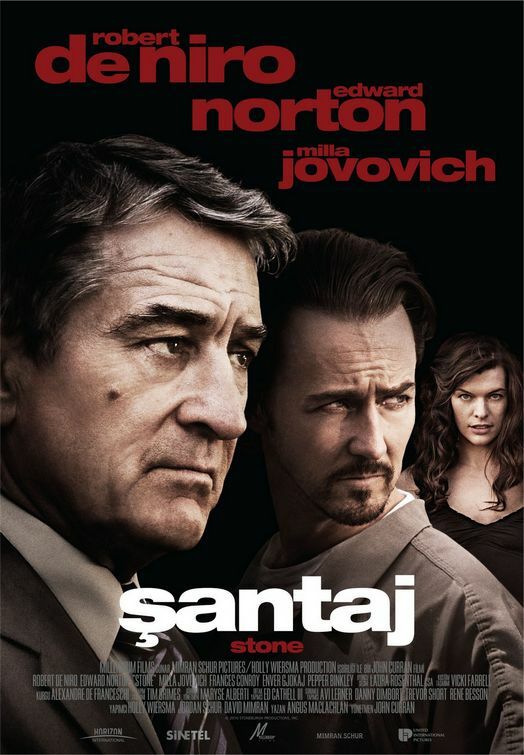 Edward Norton vs Robert de Niro: what an interesting perspective, and even more interesting with Milla Jovovich to spice things up!